Growing flower pose is perfect to do in the garden when the sun is shining and Spring is bursting all around you! Find a comfortable, clear space to do growing flower yoga pose with your child. Remember to take off your socks and shoes so that you can both feel the floor accurately with your feet. It’s great if you can do the pose with your child, because young children learn new movements largely by copying others. However, respect your body. Only do the pose if it’s comfortable to do so. Start the pose together by curling up in a ball – like a tiny seed. Encourage your child to pause in this position to notice how their breathing and how their body feels – small, squeezed? Bring in some raindrop sounds by drumming your fingertips on the mat in front of you – encourage your child to copy. Now, slowly uncurl. Like a growing flower move into a kneeling position and up into standing. Stretch your arms out to your sides and above your head – just like flower petals. See if you can bring your hands together above your head so your palms touch. Focus on how their body feels in flower pose. Is it stretched, tall, wide, big? 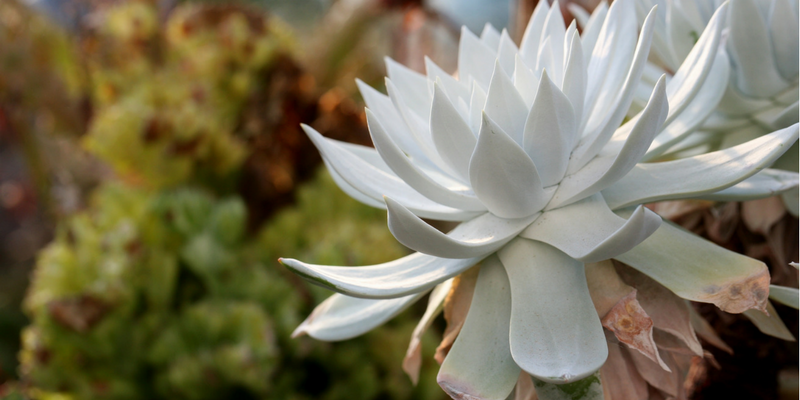 Notice how they are feeling – maybe the colour of their petals matches their mood? This can be a little mindful moment in your child’s day! Then slowly curl back down on the floor again to be tiny seeds once more. Repeat the pose a few times. 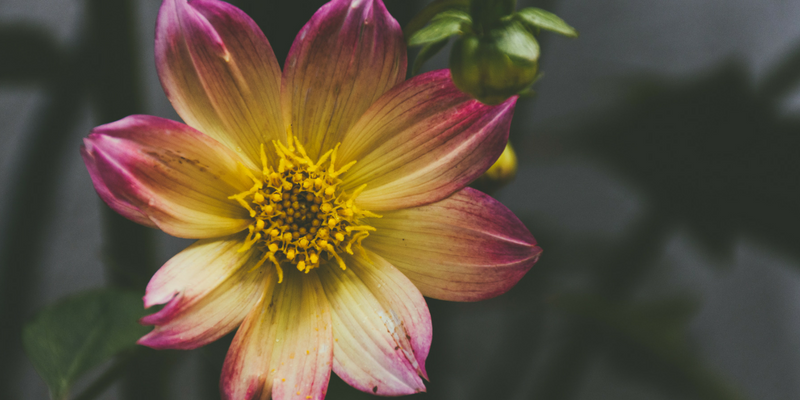 Encourage your child to think about the shape and colour of their petals e.g. are they a bluebell in a wood? Are they a jungle or a mountain flower? Or maybe they are a spiky desert cactus! In her book ‘Sitting Still Like a Frog’, Eline Snel defines mindfulness as ‘deliberate, friendly attention’ and ‘present-moment awareness’. 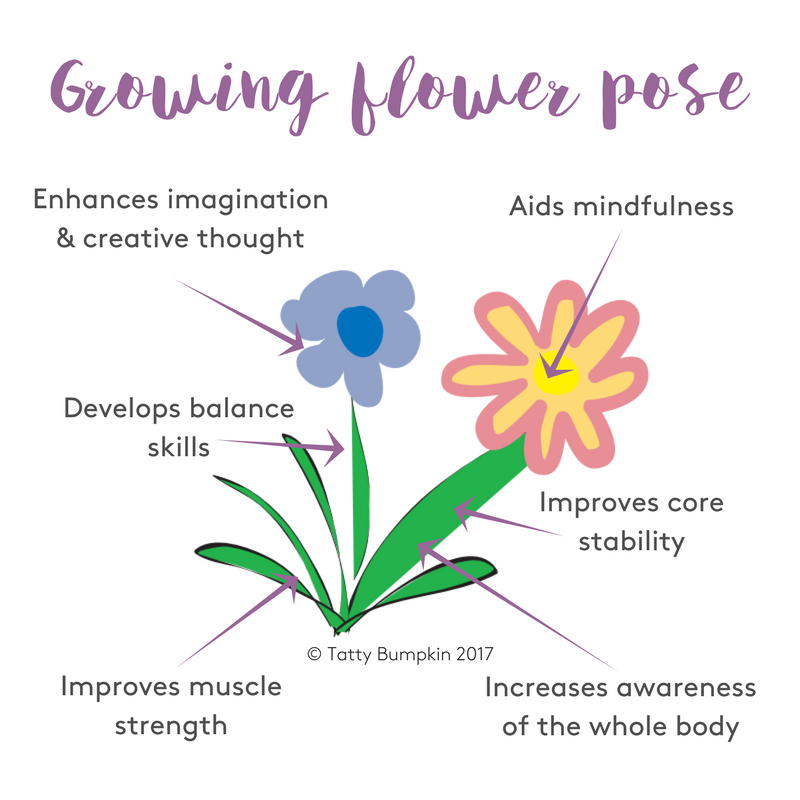 As your child takes a moment, in growing flower pose, to bring their attention to their breath, how their body feels and how they are feeling, they will be practicing mindfulness. Growing flower pose gives your child a great opportunity to develop their balance skills. As your toddler or child moves up into standing in Growing Flower pose they will be using and organising the three senses which are crucial for balance in standing i.e. Young children (under the age of 4 years) initially keep their balance in standing by looking. If your child is at the ‘toddling stage’ you will notice that they love to look at you or a toy as they tentatively try to stand or walk. As your child’s sensory organisation matures they will increasingly start to use their two ‘body senses’. See below. This sense tells us where our body is in space helping us to balance and adjust our body position. 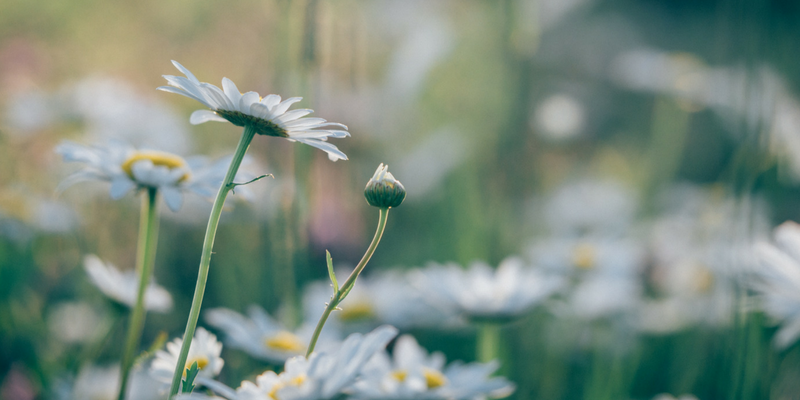 In Growing Flower pose whilst your child is curled up on the floor, they will be using the proprioceptive information gained from the contact of their body on the floor. When they stand up they will be using the proprioceptive information gained from the contact of their feet make with the floor – a much smaller area. Children start to rely more on their proprioceptive sense from about 4 years of age. Our vestibular sense tells us where our head is in relation to our body. Your child will be using this sense as they try to keep their head upright over their body. Children can rely on this sense to keep their balance from about 7 years of age. As your child uncurls in growing flower pose, moving up into standing and spreading their arms out wide, they will activate core muscle groups in a controlled way. When your child does growing flower pose they will be strengthening their hip, abdominal, spinal, shoulder, leg & arm muscles. 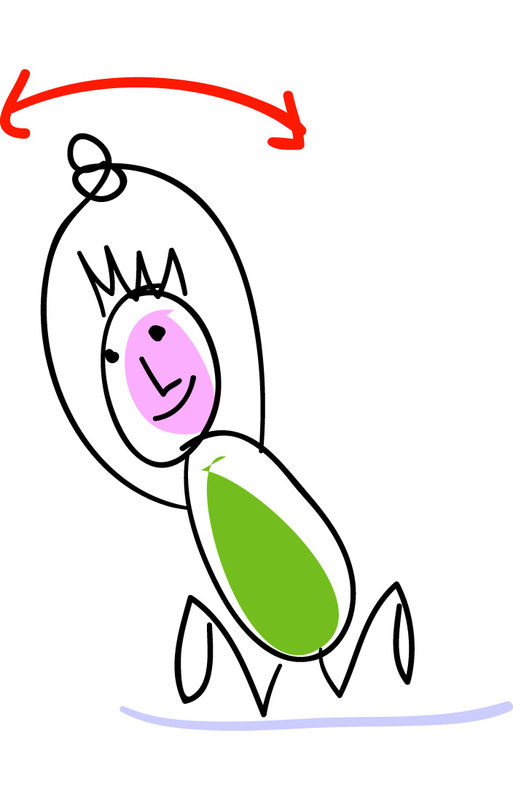 Firstly, they will be in a ‘curled up’ position, with their arms and legs close to their body as a ‘tiny seed’. Then they will move to a ‘stretched out standing’ position, as they grow like flowers. Finally they will go back to a curled position once again, as they repeat the ‘tiny seed’ position. This sequence of movements will help your child to improve their ‘body awareness’. They will better understand where their body starts and finishes and how the different parts move together. It is important for your child to keep an ‘up-to-date image’ of their body in their mind as they will use this as a reference to learn new skills. Younger children may find it difficult to stand up without using their hands. As an alternative, they can stop growing in a kneeling position. In this position, they can either sway from side to side with their hands together above their head, or spread their arms out wide as ‘petals’. Try saying ‘1, 2. 3… grow!’ before transitioning from seed to flower. Younger children will love the anticipation of this and knowing what comes next! 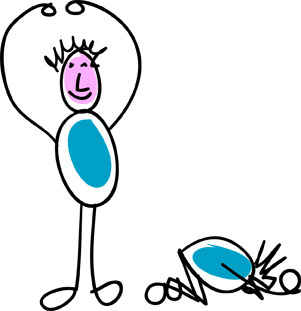 If your child is older, encourage them to try and come up into standing without putting their hands down on the floor. This will require more co-ordination and balance. As a guide the Early Years Foundation Stage curriculum for physical skills suggests that children aged between 2 – 3 years should be aiming to rise from squatting to standing without using their hands. If your child is older they will no doubt be off exploring! Why not make a daisy chain bracelets or necklaces to wear!